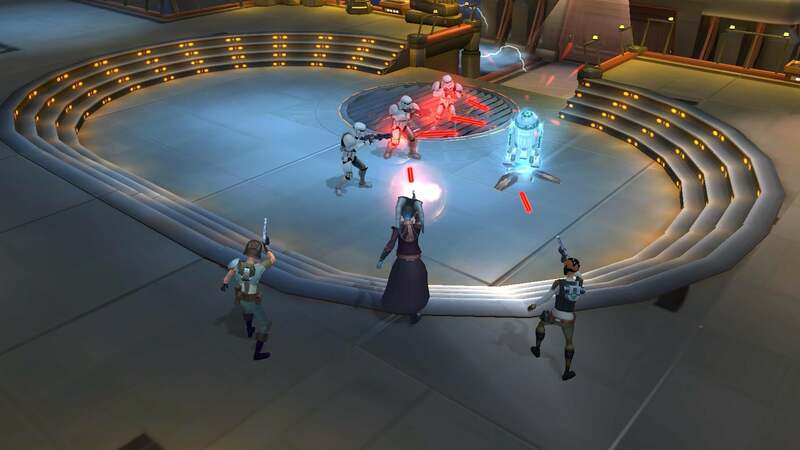 Last year around this time, mobile developer Kabam and Disney released Star Wars: Uprising, a "dull Diablo clone" set between the events of Return of the Jedi and The Force Awakens. It's shutting down in November. As of yesterday, folks still playing Uprising for whatever reason can no longer make in-game purchases, and they have a little over a month and a half to stop playing before the game stops playing for them. Both iOS and Android servers will be shutting down forever on November 17. In a statement posted in the game's forums, developer Kabam explained the reason behind the shutdown. While Star Wars: Uprising was enjoyed by a great community of players since its launch, the game is no longer achieving the level of success needed to maintain the game and the decision was made to discontinue support. In a discussion thread on the subject of the closure, Kabam offers players who purchased in-game items an equal level of currency in Marvel Contest of Champions.